From Amazon: A god has died, and it’s up to Tara, first-year associate in the international necromantic firm of Kelethres, Albrecht, and Ao, to bring Him back to life before His city falls apart. Why I recommend it: There are a lot of reasons I love this book and can’t wait to get my grubby little paws on the next two installments of the Craft Sequence, but the top one is the world-building. Alt Coulumb is so lush and vivid, and it feels like a very real place despite the fantastical elements to it. The system of magic is another phenomenal aspect of this book, as it feels both unique and very intuitive, once the reader has a working knowledge of it. It’s also worth noting that the main character is a Woman of Color, which is very refreshing when the urban-fantasy genre tends to not have a lot of diversity. 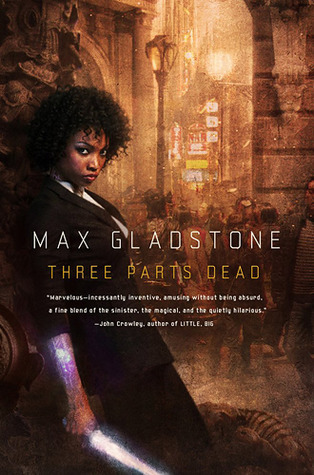 This entry was posted in Fiction Friday and tagged craft sequence, fiction friday, max gladstone, three parts dead.